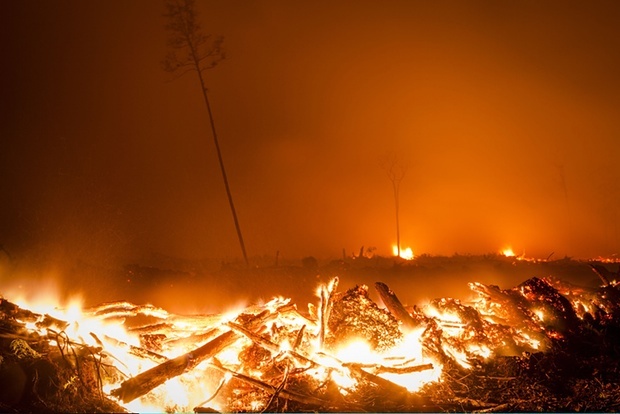 Fires in a palm oil concession in Central Kalimantan, Indonesia. Thousands of fires have been lit to clear land because it is 75% cheaper than other methods. An elementary school student in Riau, an epicenter of Indonesia's haze crisis, died of respiratory failure last week. Two other children, aged 15 and 2, passed away in Jambi. The Health Ministry logged more than 10,000 cases of respiratory infection as of September 4. At a housing complex in Riau, an epicenter of Indonesia’s haze crisis, Muklis shows a picture of his little daughter, seated before a piano and peering into the camera. She passed away last week, as forest fires blanketed the region in noxious smog. UPDATE: Emissions from Indonesian fires have continued to rise since this article was published and now are estimated to be roughly equal to Japan’s annual carbon dioxide emissions. See here. Indonesia's measure of pollution recorded air in Palangkarya at more than 10 times the level regarded as dangerous on Tuesday. Schools in the Central Kalimantan capital were closed again on Tuesday. 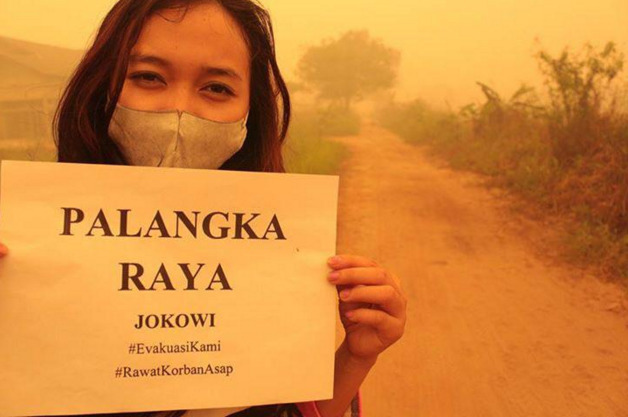 #EvakuasiKami, or EvacuateUs, is the latest haze-related to topic to trend on Indonesian Twitter amid the country's haze crisis. 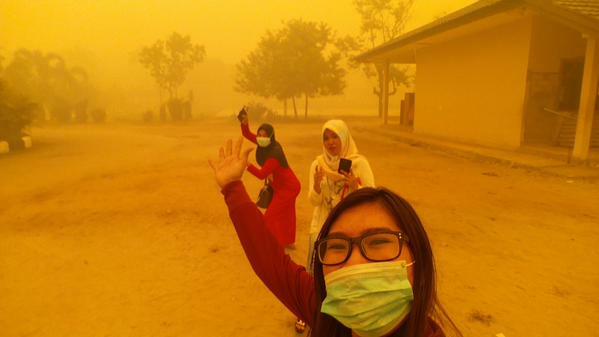 Pekanbaru has reopened shelters in the city in a desperate bid to provide some respite from the smoke. Local officials are specifically calling on parents to bring infants and young children to three 24-hour centers in Riau province..